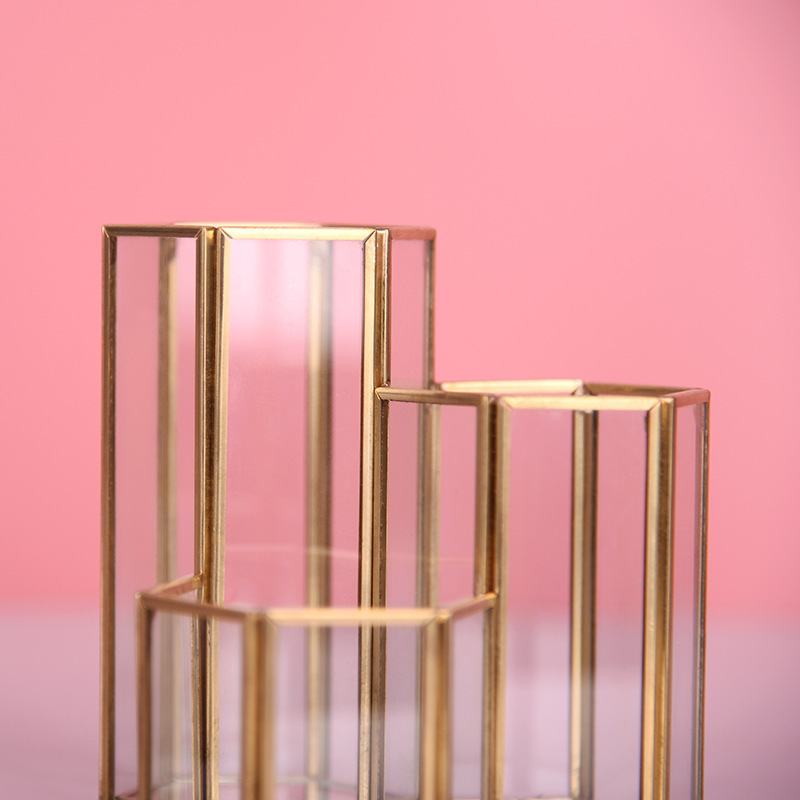 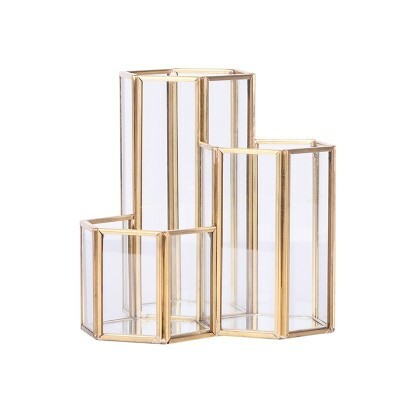 – Modern Hexagonal design decorative desktop storage holder made of glass. 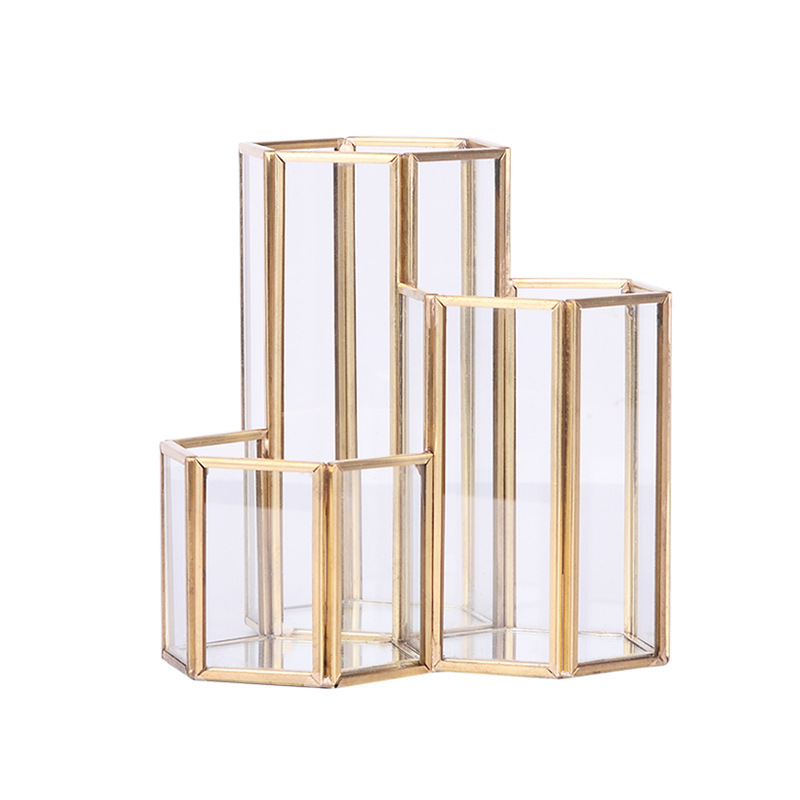 – Features an open top for placing decorations inside. 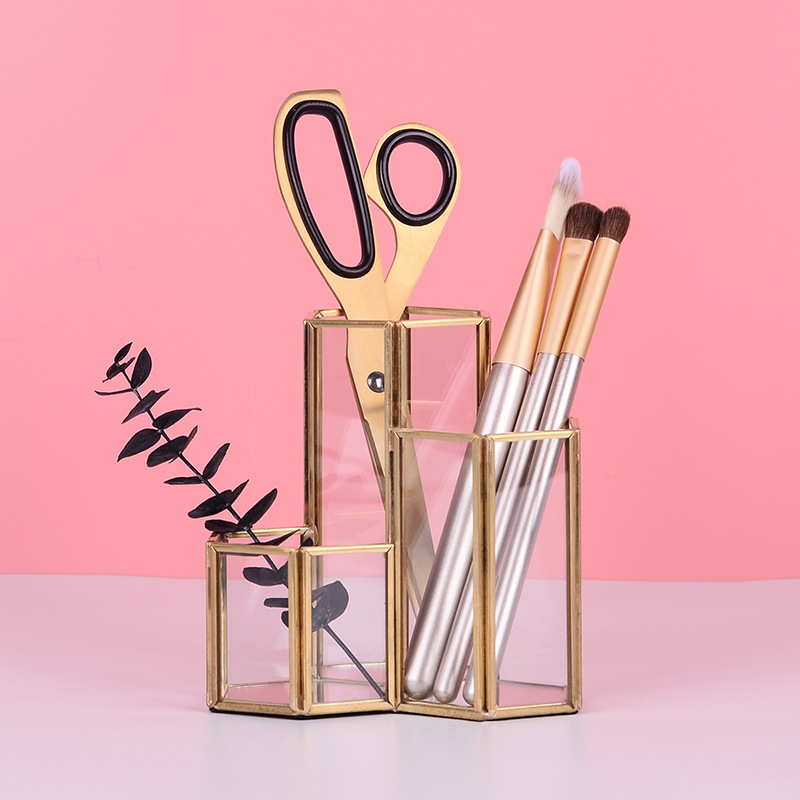 – Simple style used to decorate the desktop, do pen holder, vase, can also be used to do small cans. 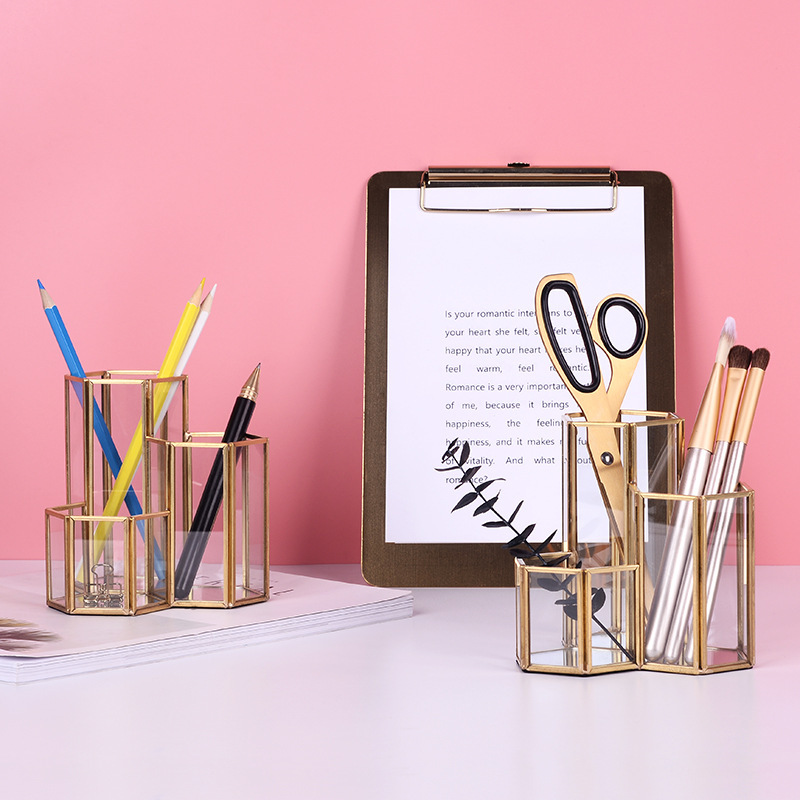 – Do not take up much space and help to keep your tables organized,ideal for office workspace,home storage,kids school.